My 2nd favorite number is 7 but ofcourse that not what this blog entry all about. I wanna share to you an article that is related to 7 and that is "77 Windows 7 Tips" (posted at technet blog). 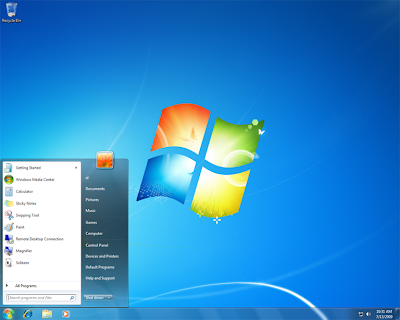 Although Windows 7 will only be available at retails store on October 22, 2009, it is considered by many as the most anticipated Windows version ever. So it won't harm us if we can prepare ourselves from using it with the help of these 77 tips. The article focus on the following topics. Here are some pointers from the article. 3. Use Windows XP Mode. 4. Use Windows PowerShell v2. 6. Shift to and from Explorer and CommandPrompt.